The production team at ADSR being a diverse bunch themselves, have tapped into the timeless traditional instruments from Japan and China in their latest release Shinbashi – Future Chill Asia. Shinbashi – Future Chill Asia uses a combination of traditional Asian instruments, classic samplers such as the MPC 3000 along with the powerful synthesis within Serum has birthed a unique hybrid spin on Future Bass, R&B & Lo-Fi Chillout. Punchy drums, warm saturated basslines, funky leads, spaced out pads and beautiful melodic elements comprised of classic keys and traditional instruments from Asia round out Shinbashi to the fullest. 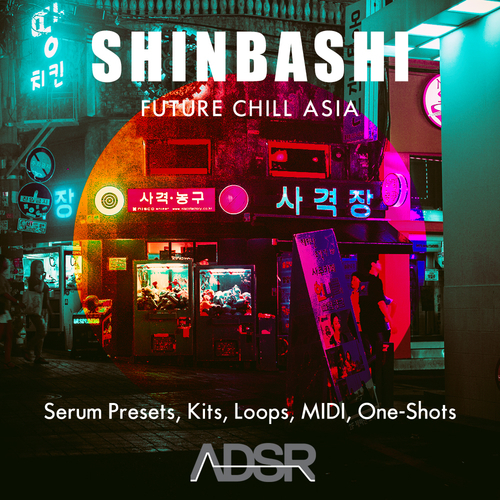 Shinbashi – Future Chill Asia contains over 60 Serum presets along with construction kits, female Chinese vocal samples, loops, drum one-shots and MIDI files to really ignite “out of the box” music production. Shinbashi represents musical elements that work well on genres such as Future Bass, Future Chill, Hip Hop, R&B, Trap Soul & Lo-Fi Chill.